In 1944, Suzu Urano moves to the small town of Kure in Hiroshima where she marries Shuusaku Houjou a young clerk who works at the local naval base. 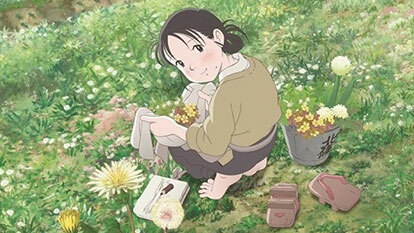 Living with his family, Suzu becomes essential to the running of the household and creatively prepares meals during the tough wartime conditions while also carrying out daily housework. In 1945, intense bombings by the U.S. military finally reach Kure with devastating effect to the townsfolk and their way of life. Suzu's life is changed irrevocably, but through perseverance and courage, she manages to continue to live life to the fullest.